Enhancing a stakeholder value is a fundamental concept, which drives every management effort in the modern business environment. Progressive and bottom – line focused managements have realized that taxes should be viewed as a dynamic item of cost, rather than a passive charge on the profits. Indeed, an effective tax – cost management provides a distinct competitive advantage, which requires the application of appropriate tax strategies, proactively identified and meticulously implemented. In the modern day world all businesses are engaged in multinational transactions and operations, they are continually challenged to manage the impact of multiple and ever-changing tax -jurisprudence. Our Tax Knowledge & Solutions Team is a dedicated group of professionals, rich in experience on Tax and Regulatory matters. Our team stays constantly abreast with changes in tax policies, administration & regulations and domestic & international jurisprudence. We endeavour to identify potential threats & opportunities and advise on appropriate strategies to mitigate exposure and optimize tax incidence on our clients. We strive to develop a detailed understanding of our clients’ business ecosystem and industry sector to offer insights on sectoral developments and assist our clients to develop effective strategies and business models. We help businesses to maximize value by identifying and implementing comprehensive strategies for corporate, international and local taxes. This helps ensure that the cascading effect of all taxes together is minimal. Sound business decisions need to be backed by the right tax advice. Today’s dynamic environment has led to fierce competition. Corporate entities have realized the importance of taxation and its associated cost with efforts to reduce the tax incidence to enable them to provide the much-needed edge over competitors and meet challenges in a dynamic business environment. Tax consultancy, provided by the Firm forms an integral part of the commercially viable business decisions minimizing the cost burden. We adopt a “result oriented approach” which is flexible and emphasizes delivery and value. In order to help our clients keep themselves in tune with the frequently changing compliances our team offers solutions in an efficient use of technology in a timely and effective manner. We help our clients to meet the challenges of today’s complex business environment. Handling day-to-day tax matters including replying to tax notices and providing necessary support on tax matters. Tax representations before assessing officers in connection with scrutiny assessments including transfer pricing. Tax representations before CIT (Appeals) and discussions with senior councils for Tribunal and other important matters. Advising clients in respect of Advance Income Tax calculations. Providing support services in the areas of PAN, TAN, online tax credits etc. The firm also provides Personal Taxation Services. The firm has a team of professionals who possess vast knowledge of taxation and can provide valuable inputs. Advising in respect of various investments. The focus of tax assessments (audits) is gradually shifting from micro issues (such as, procedural disallowances) to issue based and concept based reviews. Given the legal labyrinth that taxpayers often face, a judicious cost-benefit analysis is imperative in deciding which issues are worthwhile to litigate and on which issues it is more viable to concede. We, with our experience and in-depth knowledge help in making this decision. Complicated direct tax litigation at all levels of the Income tax Authorities is our forte. In the arena of Cross Border Taxation, the Indian authorities have been late entrant. The last few years have seen an extremely aggressive revenue approach focusing on issues related to various tax law litigations, permanent establishments and transfer pricing issues. The taxpayers are often engaged in complicated litigation at all levels of the Income tax Authorities. We have both the experience and the acumen to represent clients through tax assessments before the tax department including the international tax department assessing foreign entities to tax in India. We also represent clients in transfer pricing assessments before the Transfer Pricing Department and in appellate forums such as the Dispute resolution Panel and the Income Tax Appellant Tribunal. 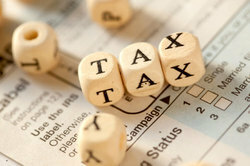 We help in mitigating hardship and offer intelligent tax advice in a result oriented manner. Developing and implementing strategies for quick resolution of issues. Representation before Indian tax authorities and various appellate forums such as Commissioner (Appeals), Appellate Tribunals. Looking for Direct Taxation Services ?